Hello! 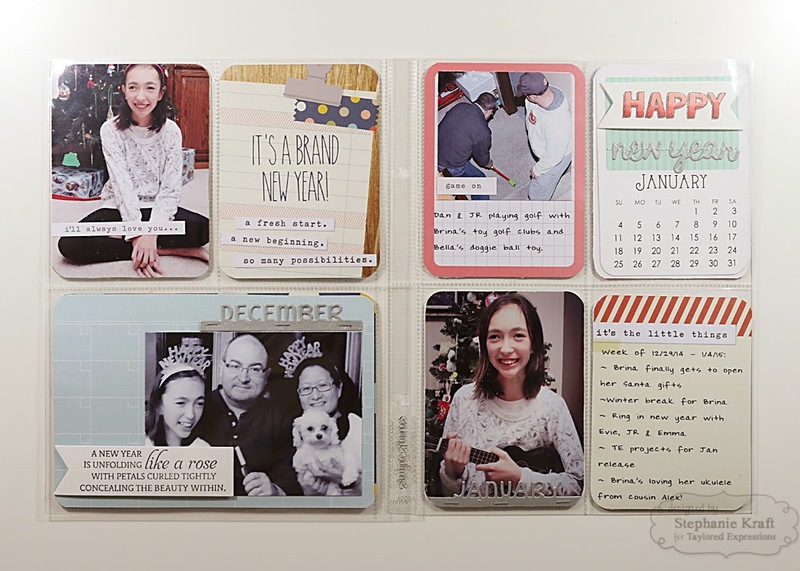 Last week, I started working on my Project Life 2015 album. Over the course of several days, I managed to complete documenting the month of January. I'm beyond excited about this! My hope for the rest of the year is to set aside about a week and document the previous month. Today I'm showing you the first half of the month. Title page detail shot: In the upper right card, I die cut our initials out of Mini Caps Alpha & #'s and attached them with the Tiny Attacher. "2015" was die cut with the Tall & Skinny #'s, stitched on to a punched circle and added with foam tape. 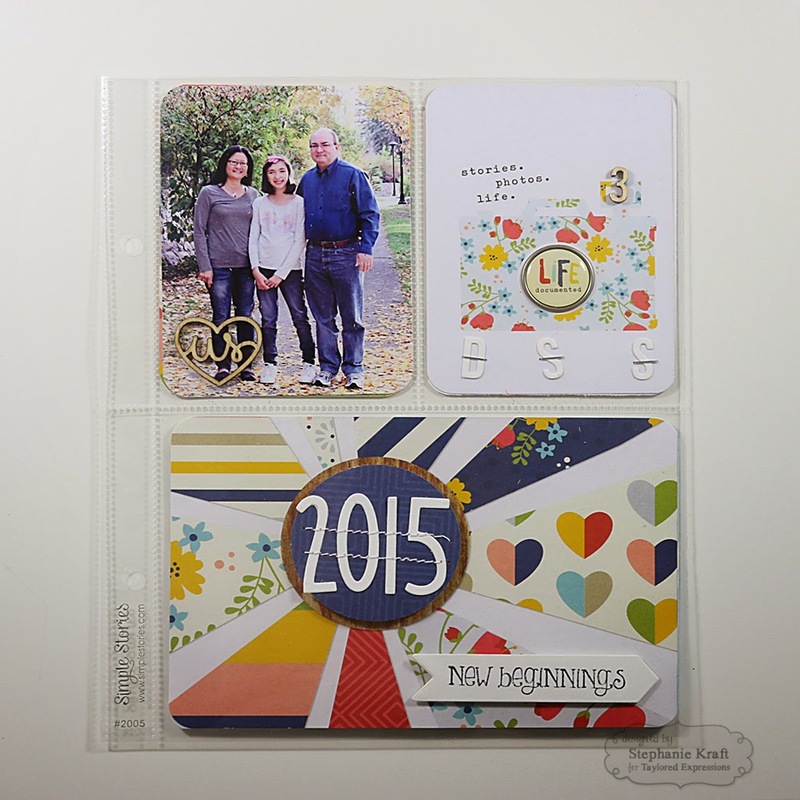 "New beginnings" was stamped from the New Beginnings stamp set on to a Label It die and added with foam tape. 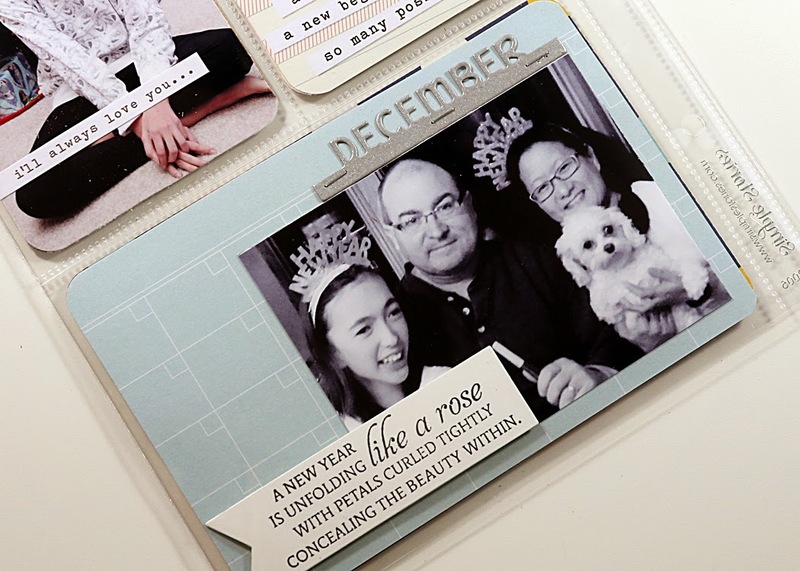 Week 1 (left side) detail: On the lower card, I used Bars of the Year and die cut December out of silver cardstock. I used the Tiny Attacher again. 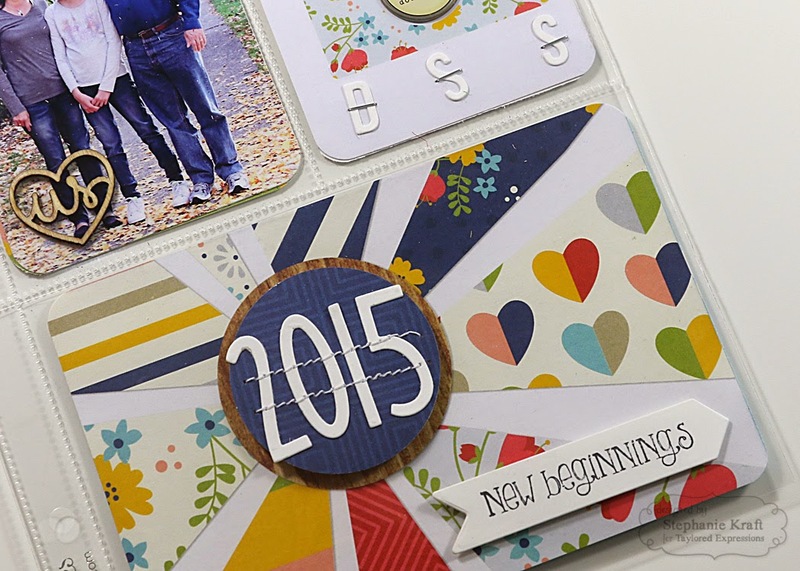 The sentiment is also from New Beginnings and stamped on to a Banner Stacklets 1 die. Week 1 (right side) detail: I used one of the pre-printed cards from 2015 3x4 Calendar. 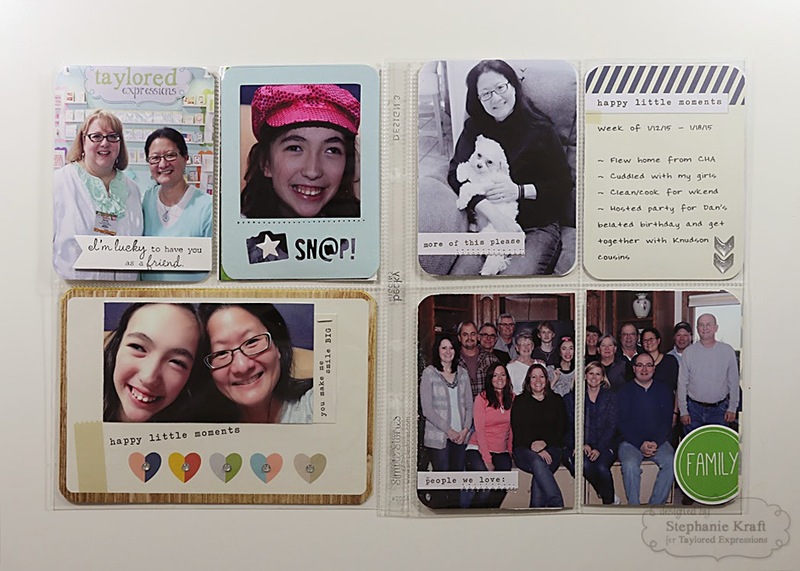 The "Happy" was stamped from Little Bits of Birthday onto a Banner Stacklets 1 die (I ran it through twice to get a flag on either end). 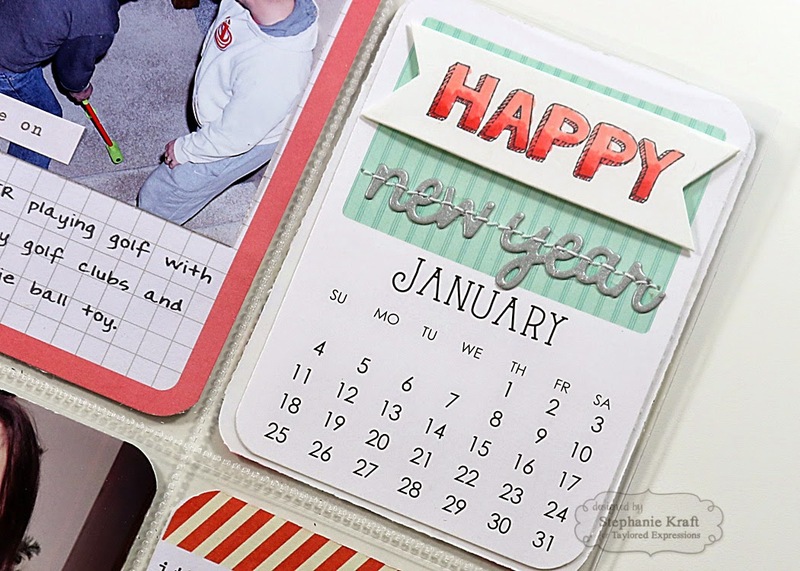 "New Year" is from Pockets & Pages - January Script, die cut out of silver cardstock and stitched on the card. Week 2 (left side) detail: "Love" is from Punchables - Christmas. On the photo next to it, I typed my journaling (with my handwriting font) directly on the photo before I printed it. Week 2 (right side) detail: I added my badge from CHA on the left. To the right is a photo with Becky Higgins (creator of Project Life). This was definitely the highlight of my trip because not only did I get meet her, but I also got to spend some time chatting with her! 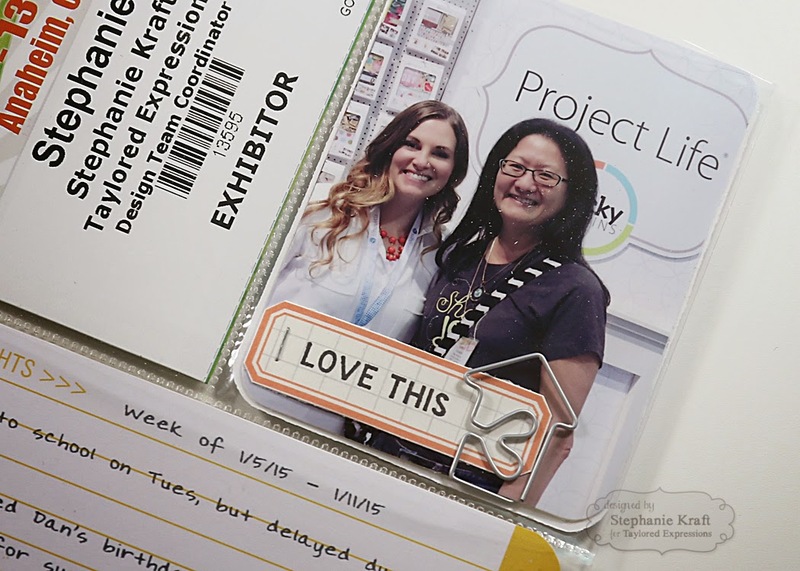 "Love this" (from Pockets & Pages - Documented) was stamped onto a pre-printed label. Week 3 (left side) detail: In the upper left is a photo with my sweet friend, Wanda, whom I was able to spend a lot of time walking the floor. The sentiment is from Friendship Blooms and was stamped on to a Banner Stacklets 1 die cut. Thanks so much for stopping by! I'll be back with the second half of January next week! 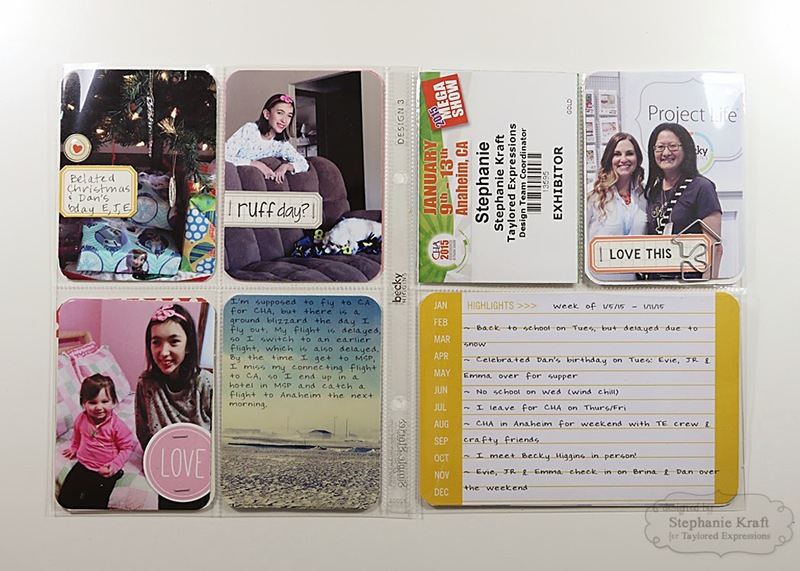 Accessories: Taylored Dies: Label It, Tall & Skinny #'s, Mini Caps Alpha & #'s, Banner Stacklets 1, P&P Bars of the Year, P&P - January Script, P&P Essentials - 3x4, P&P Essentials - 4x6; Punchables - Christmas, 2015 3x4 Calendar (TE); Markers (Copic), various supplies from Life Documented collection (Simple Stories), Grid Labels No. 1 (Cathy Zielske), Silver Arrow Sprinkles (Doodlebug), Wood veneer (Studio Calico & Freckled Fawn), Tiny Attacher (Tim Holtz), Foam tape, Thread, Sewing machine. Oh my goodness!!! STEPHANIE!! This is awesome. I always love seeing your layouts. These PL pages are fab!! Fantastic pages Stephanie! 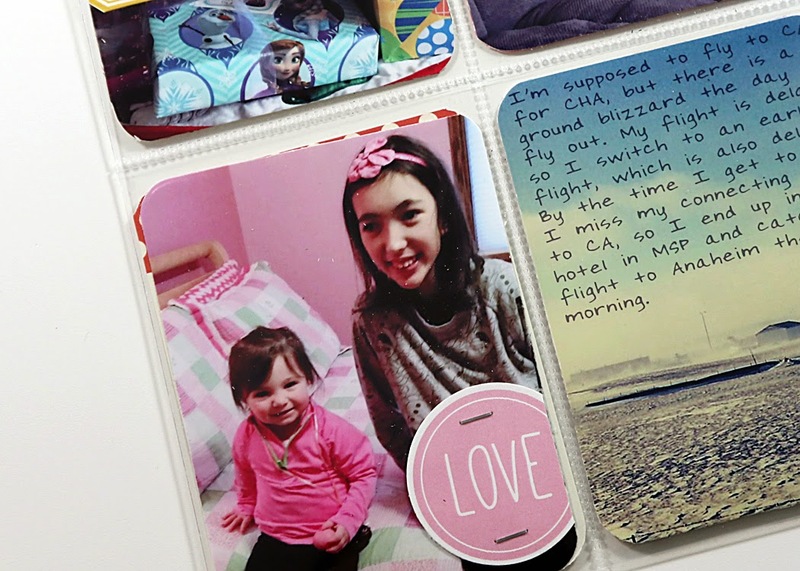 What a great way to showcase those fun memories!